Padthaway is a wine region in South Australia, located just to the north of Wrattonbully and about 40 miles (64 km) inland from the coast. The area is flat, with the highest elevation reaching just 165 feet (50 m) high. Most of the area sits atop a shallow ridge located along the western slope of West Naracoorte Range—which runs parallel to the ocean. The climate has both maritime and Mediterranean influences, and there are a variety of soil types as well—including the famous terra rossa shared with Coonawarra and Wrattonbully, its neighbors-to-the-south. 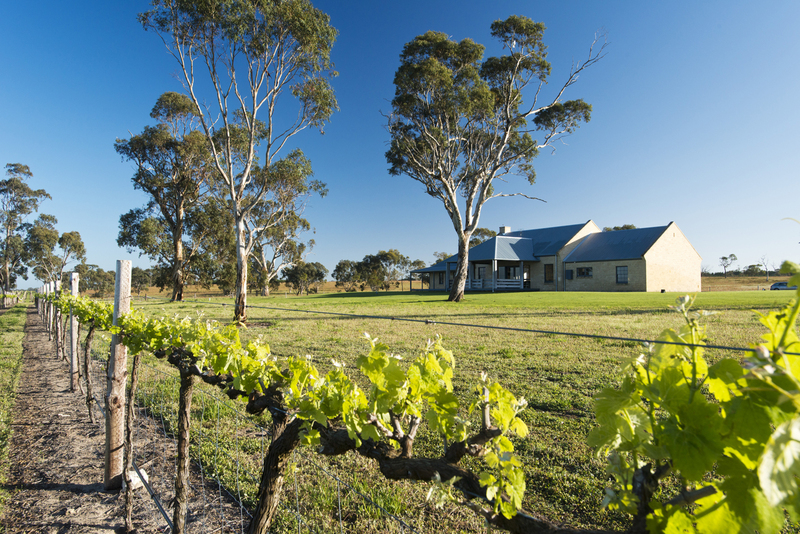 Padthaway—as would be expected due to its flat terrain and slightly-inland setting—is the warmest of the six wine regions located in Australia’s Limestone Coast Zone. The first vineyards of the area were planted by Karl Seppelt in 1963, and soon thereafter many of Australia’s other big-name wine companies—including Wynn’s, Lindeman’s, Hardys, and Penfolds—soon followed suit. The area was officially declared the Padthaway Geographical Indication in 1999. While many of the grapes grown in the Padthaway Region still make their way to large wineries in other regions, Padthaway now has about two dozen small producers making local wine. These include Henry’s Drive Vignerons and Padthaway Estate—both of which offer tastings at the cellar door. The name Padthaway—meaning “good water”—was bestowed upon the region by its original inhabitants, the Potawurutj Aboriginines. The shape and size of the area is unique—long and narrow, stretching for over 38 miles (62 km) following the Riddoch Highway from the town of Naraccorte to just north of the town of Padthaway. By contrast, the region is a mere 5 miles (8 km) wide at its widest point. The Riddoch Highway is named after John Riddoch, a businessman who—in the 1890’s—planted the first vineyards in the area, in what is now known as Coonawarra. 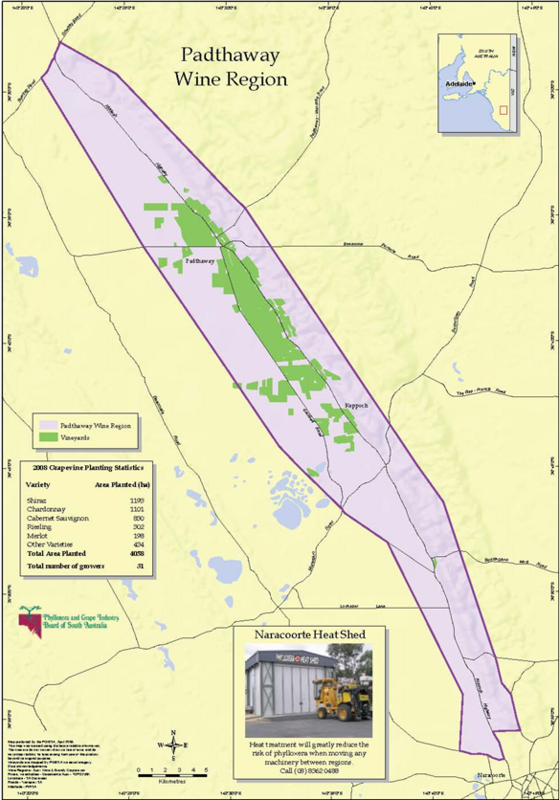 The Padthaway GI currently has about 10,000 acres (4,050 ha) planted to vines. About 60% of the vines are red grapes, led by Shiraz and Cabernet Sauvignon with a bit of Merlot and Pinot Noir in the mix. Of the 40% planted to white grapes, the majority are Chardonnay—along with a smattering of Riesling, Pinot Gris, Semillon, and Sauvignon Blanc. We seem to be publishing a series of posts on Australia’s Limestone Coast. Click here to read the first installment (Mount Benson) and here to read the second (Mount Gambier). Soon to come: Coonawarra, Wrattonbully, and Robe.